Earlier today, the GLO Premier League 2013-2014 kicked off in Ghana. In this post, I will present a couple of interesting players from a statistical point of view. 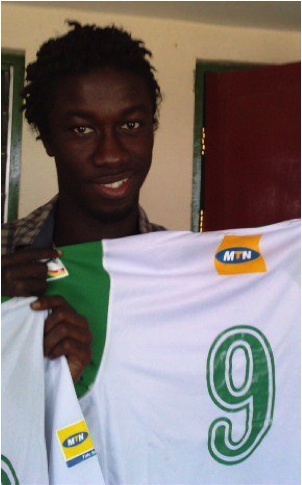 The picture above, found on academy.righttodream.com, shows striker Samuel Boateng of Wa All Stars FC. Boateng was on target when Wa All Stars FC won a point against Liberty Professionals FC a couple of hours ago.